We got a lot of great stories in the November issues from IDW! Here is a quick summary of what we got with some notes. Originally scheduled for October, but it didn't get on sale until November 9. Inside the issue Donald and Fethry get a new assignment from the Tamers of Nonhuman Threat. 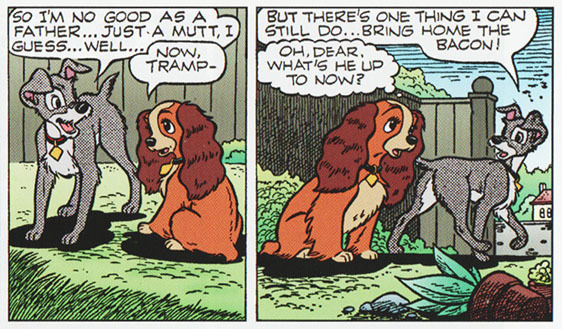 Loosely based on a 1943 cover by Walt Kelly, the 8th TNT story takes us back in time to England. And the nonhuman threat this time is none other than the Gremlins. We've got three TNT stories so far after IDW started publishing Disney comics, and there are still threats to be dealt with (stories that have been published in Europe). 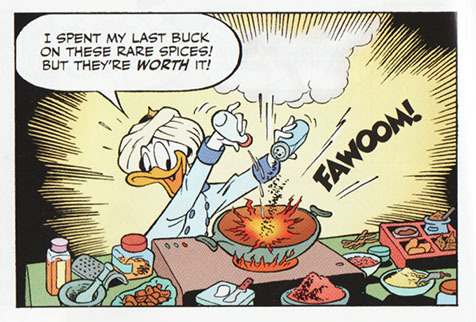 So I don't think we have seen the last of TNT in IDW's Donald Duck. For more Gremlins I recommend the mini-series Return of the Gremlins published by Dark Horse. In addition to a new serial they also include the early Walt Kelly stories with the Gremlins from Walt Disney's Comics & Stories. 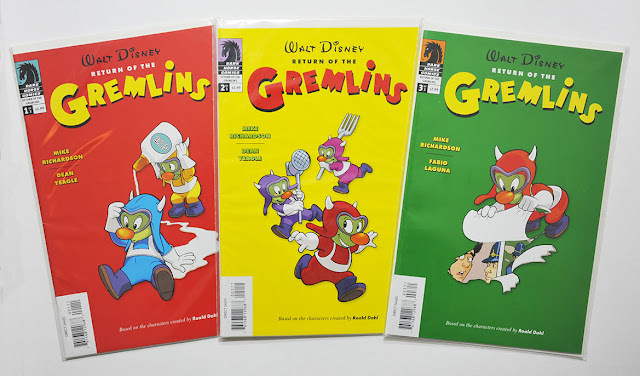 And for more information about this series and the backstory about Disney Gremlins, check out this great article over at Mouseplanet. 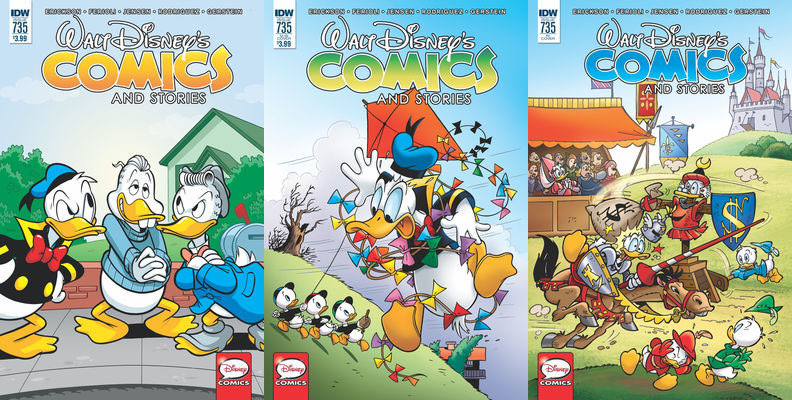 This issue of WDC&S is a bit different from the other's we have seen from IDW. So far we've had one long story taking up most of the pages, and then some shorter backup stories. But #735 got a collection of "10-pagers" instead (that is 10+10+12+7 pages). 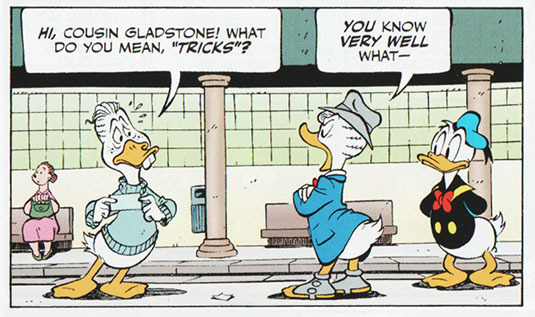 It the first one, Gladstone and Disraeli, we get to meet Gladstone's cousin Disraeli Duck, who has a completely different approach to get everything he wants. But can he rival Gladstone? The character might be named after Benjamin Disraeli, a British Prime Minister whos biggest rival was William Gladstone. 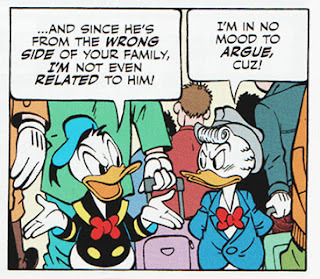 And apparently Disraeli is from the "wrong" side of the family. Then we got another story with Butch the reformed crook. Last year (in IDW's Mickey Mouse #3) we saw Professor Ecks and Doublex having trouble staying reformed. Can Butch do better? In You Vindaloo, You Lose a Few Donald is trying to make the hottest curry dish in history. Finally we got a rare treat at the end of the issue. Bringing Home the Bacon (named for this print) is the second daily strip serial with Scamp, originally published in the newspapers in 1955. 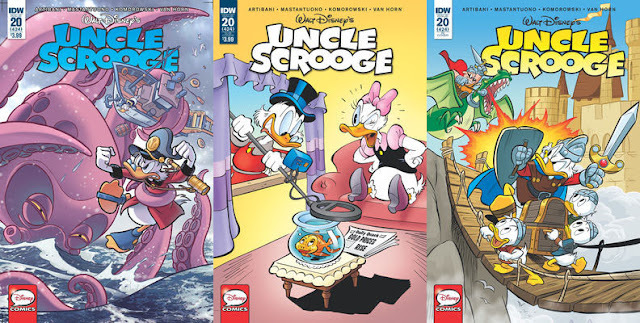 Tyrant of the Tides, the main story in this issue takes us on adventure where Scrooge is trying to find the wreck of Napoelon's "Nautilus". 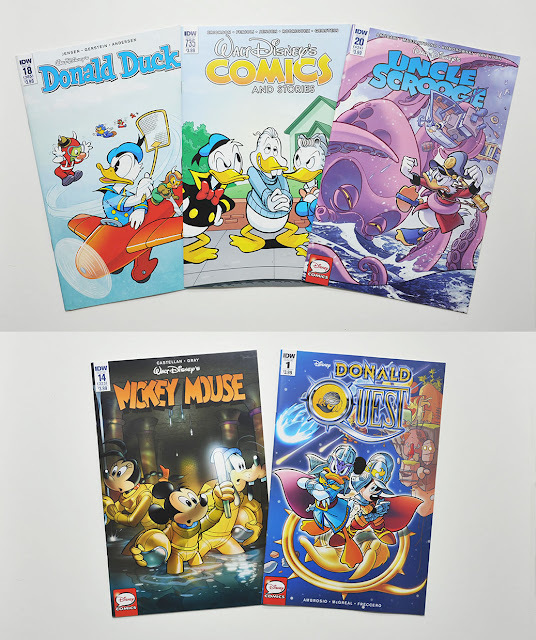 The story was originally printed in the Italian Topolino #3000, where most stories had something to do with the number 3000. I guess "3000 Leagues under the Sea" is the reference in this story. We also got Astray for a Day as a backup story. It's another story with Rumpus as the lead character (we got one in IDW's Uncle Scrooge #15 too). This time he is trying to cure his sleep walking. 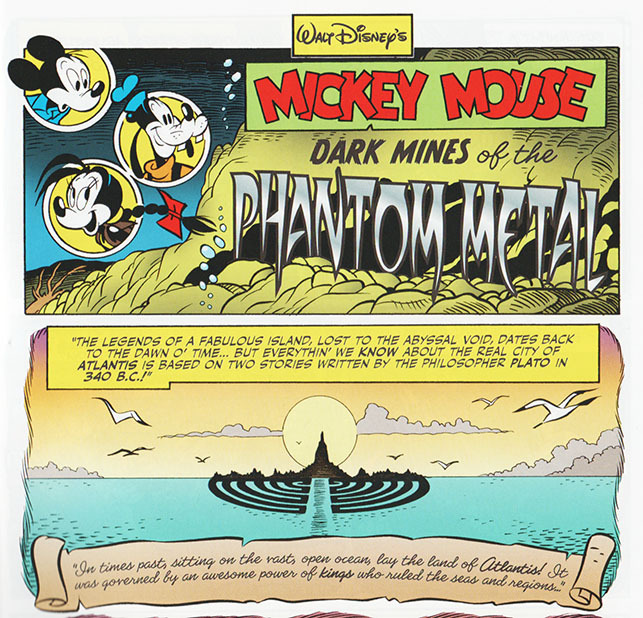 Dark Mines of the Phantom Metal is the 4th story in Casty's series of stories with Eurasia Toft. All stories are standalone stories taking place at different times and on different locations, but we do get hints about what to come and references to what have happened before. So they all seem to be connected somehow to a larger storyline. All but the first story also ends with a new mystery and "that's a story for another time". 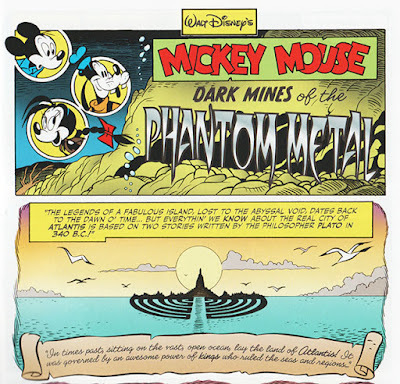 As Dark Mines of the Phantom Metal starts with a panel showing Atlantis in the horizon, I thought we were going to get some answers to the mystery around this legendary city. We do get a great story this time too, but we still (at least I do) ends up with more questions than answers about Atlantis. It's been 7 months since we got the last story in IDW's Mickey Mouse #10 & 11. So the wait hasn't been that long. But The Shadow of the Colossus was originally published in 2005 and Dark Mines of the Phantom Metal in 2011, so European readers had to wait a long time for the continuation! 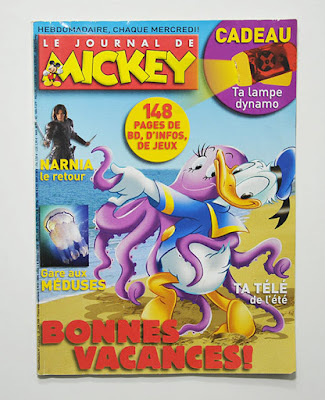 And it seems the French publishers got tired of waiting... 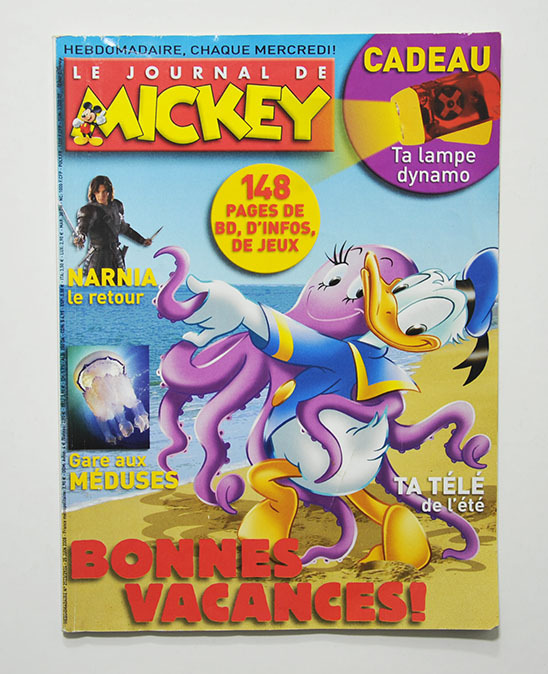 In Le Journal de Mickey #2923 they published their own story with Eurasia Toft where she teams up with Minnie to actually discover Atlantis! I got curious about this story, so I got a copy this summer even if I can't read French. 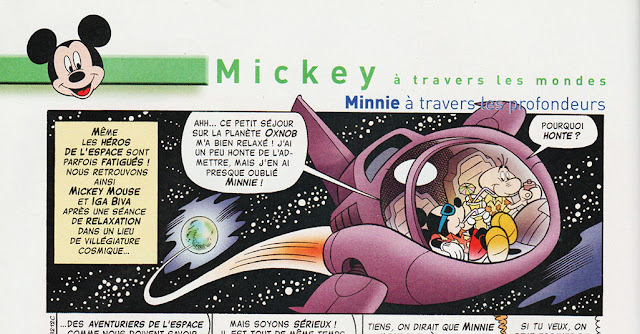 The story seems to be part of a series of stories with Mickey and Eega Beeva traveling in a space ship, and in this story they spy on Minnie and Eurasia using a monitor – watching the adventure unfold. As Minnie and Eurasia seems to discover Atlantis in this story I guess it will have to be looked on outside the Casty canon – or I suspect we will have some real consistency issues later. The island in the French story looks a lot like an island in the next Casty-story btw. Island from "Minnie à travers les profounders" and "Topolino e il raggio di Atlantide"
That's probably just a coincident, but I haven't read the next story yet – just saw a few preview pages online. 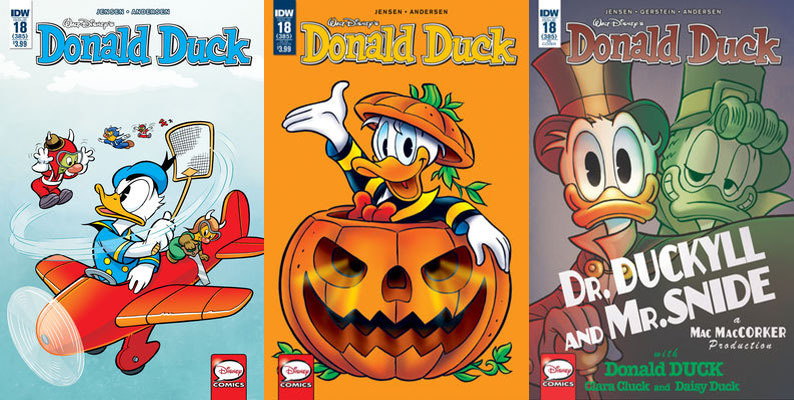 I hope IDW doesn't wait too long to publish the new one. I'm really curious and excited about what comes next! 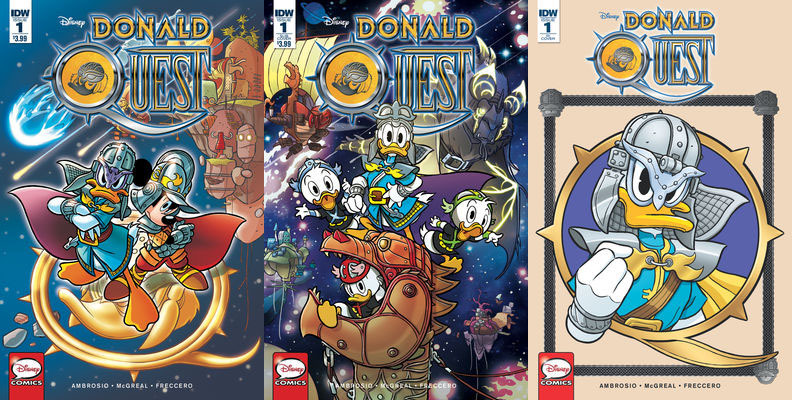 Set in the alternate universe of Feudarnia, Donald Quest is a new fantasy serial taking place on floating islands in space. The small rocks they are living on are too small to have own gravity or atmosphere, but maybe they have minerals like the "Hallelujah Mountains" in the movie Avatar and are floating in a magnetic vortex. Or maybe normal physics doesn't apply in the world of Feudarnia? Who knows? In the story we have meteorbeasts, beastbusters trying to catch them and busterbots to help doing that. 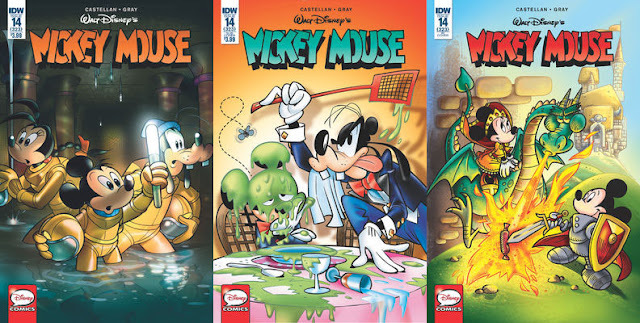 I have to admit I'm usually a bit skeptical to duck and mice stories where the characters are not themselves. That is any literature parody story or alternate universe stories like Donald Quest. So to sell me on such stories they have to have really great artwork and be visually appealing. Donald Quest definitively gets a "check" on that part! And the story is fun and interesting too. So I'm looking forward to reading the next chapters in this saga. I know the Gremlins series from Dark Horse got collected in a trade paperback right after the single issues came out. But last year a hardcover got on sale too. I think that book has more content (?). Anyone got it and can say a few words about the book?